The men and women of the Marvel Avengers are getting the band together to make one final run at the evil Thanos, in an attempt to reverse the damage he did in Avengers: Infinity War. 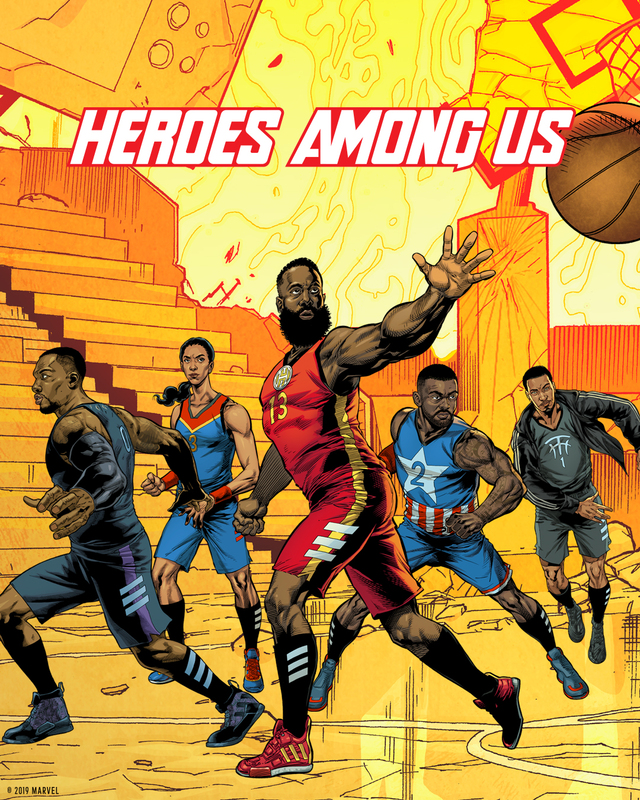 Before Tony Stark and crew reunite in the latest Avengers project (titled Avengers: End Game), they’re being reimagined with a hoops-inspired lens by adidas. 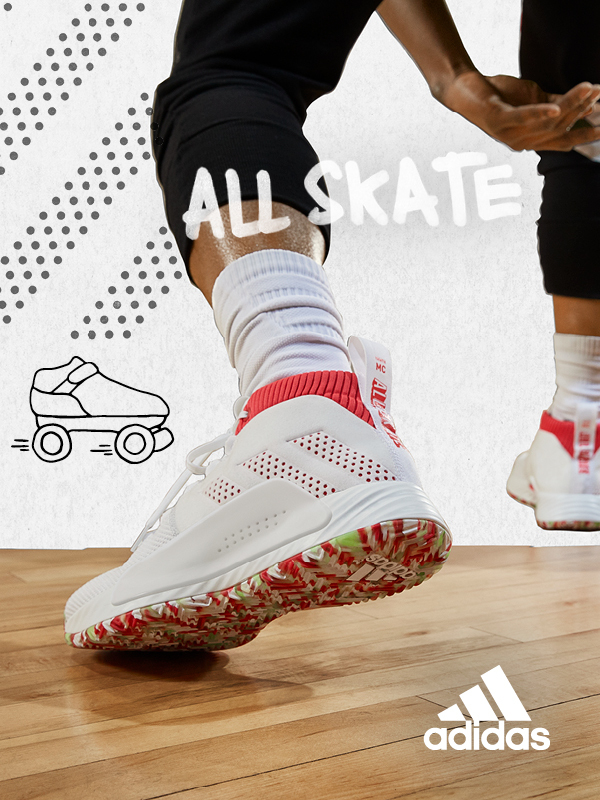 Every day adidas basketball stars battle on the court. 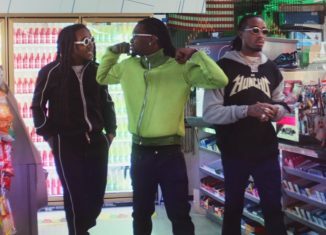 Recognizing that fact, they’ve given them superhero counterparts. 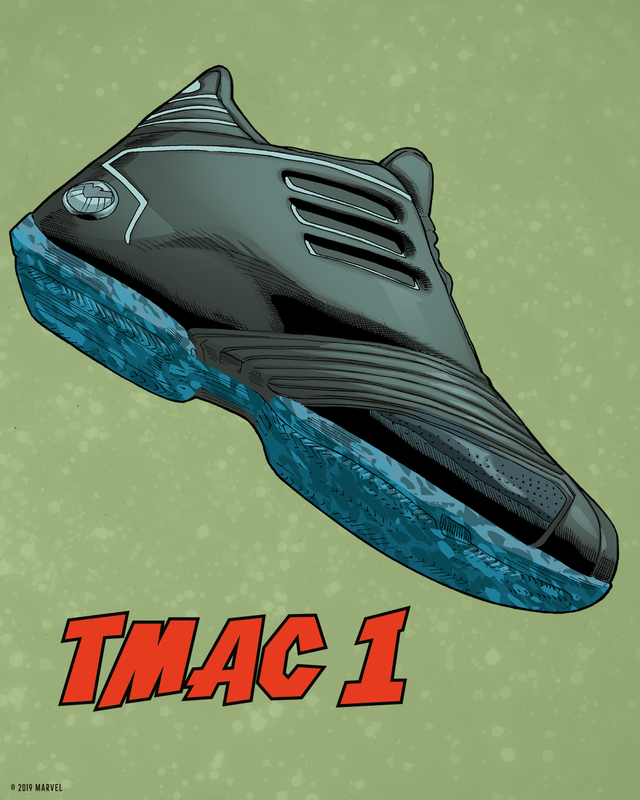 As part of the reimagination, each athlete/superhero has a sneaker that’s authentic to their personality and game. 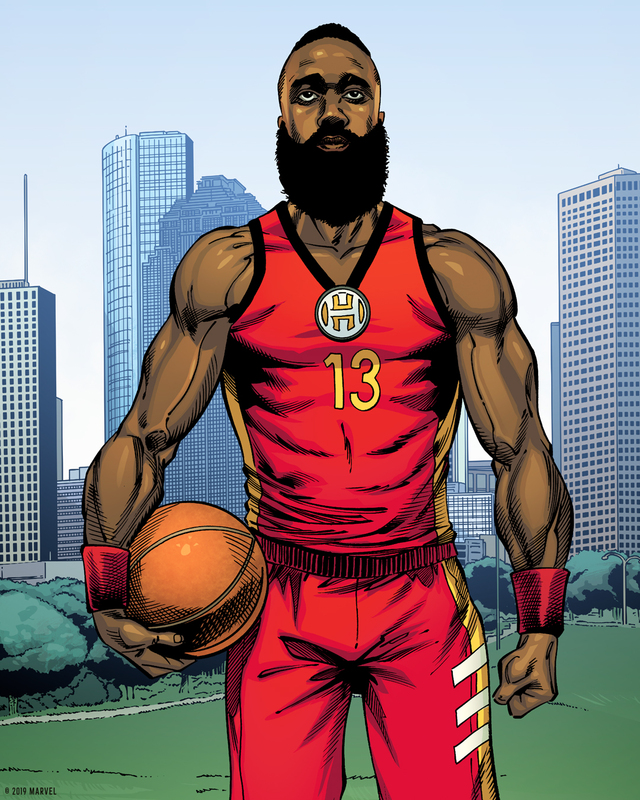 Much like Tony Stark is a genius in his field, James Harden is an offensive genius on the court. 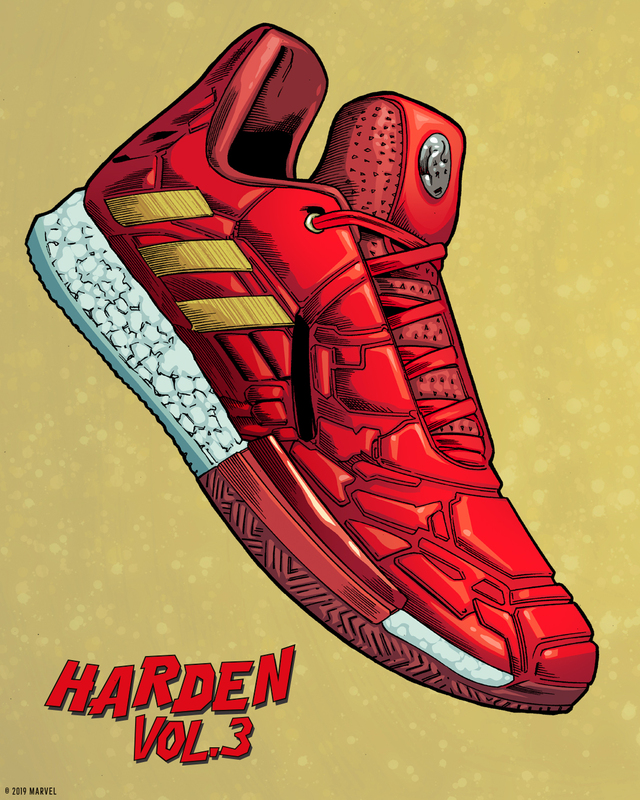 The signature gold and red of Iron Man’s suit takeover Harden’s third signature shoe. A supple leather upper provides a locked-in and stable fit that supports quick changes of direction. 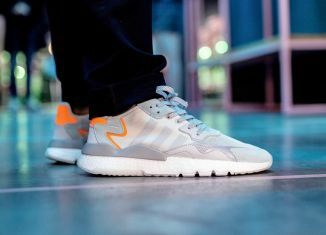 It sits atop a responsive BOOST midsole and rubber Herringbone outsole. 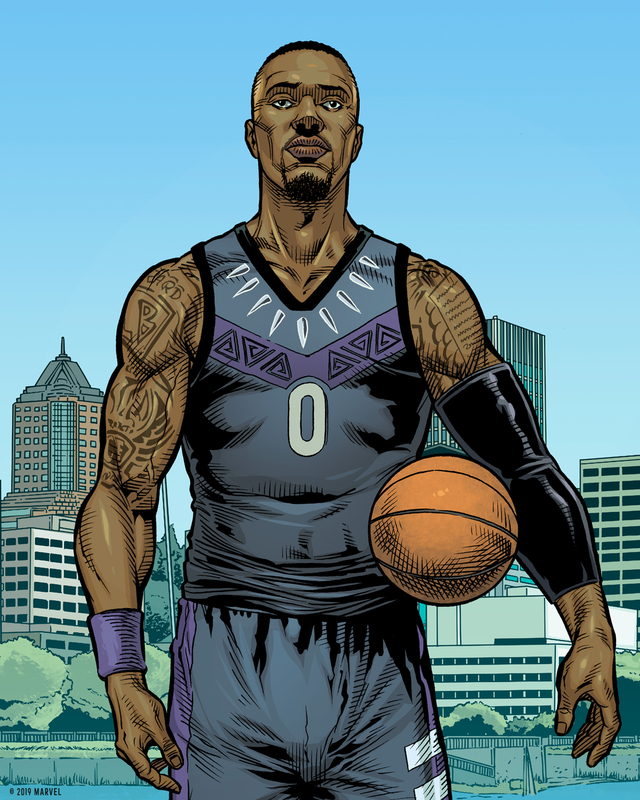 T’Challa represents the new wave of superhero, just as Damian Lillard represents the new wave of NBA Player. Both utilize an otherworldly combination of speed, agility and durability to gain an edge of foes. 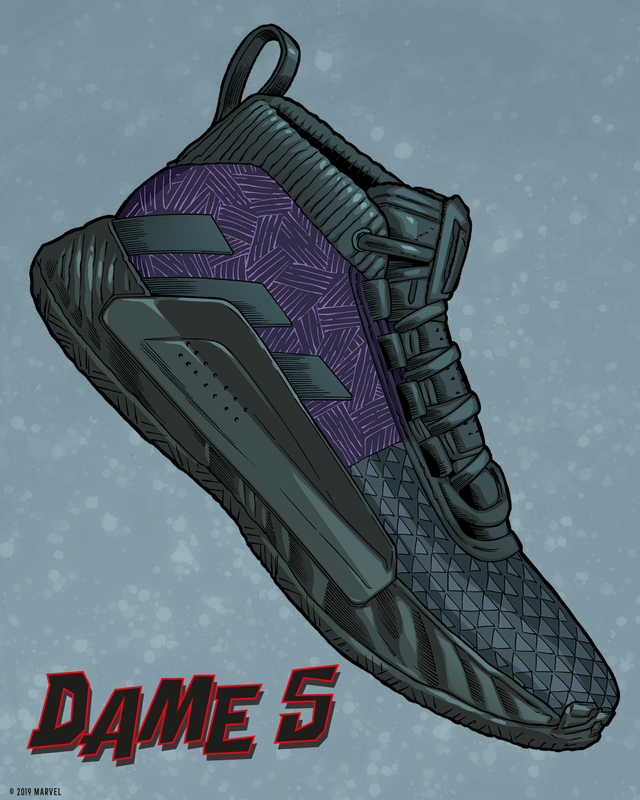 Dame’s fifth signature shoe is getting a black and purple makeover, reminiscent of the Black Panther’s vibranium weave suit. This Dame 5 features a knit and suede upper, an enhanced banking barrier and double traction. When both of these warriors enter the battlefield, you know what time it is. Captain Marvel has the power of superhuman strength, energy projection and flight due to altered DNA. 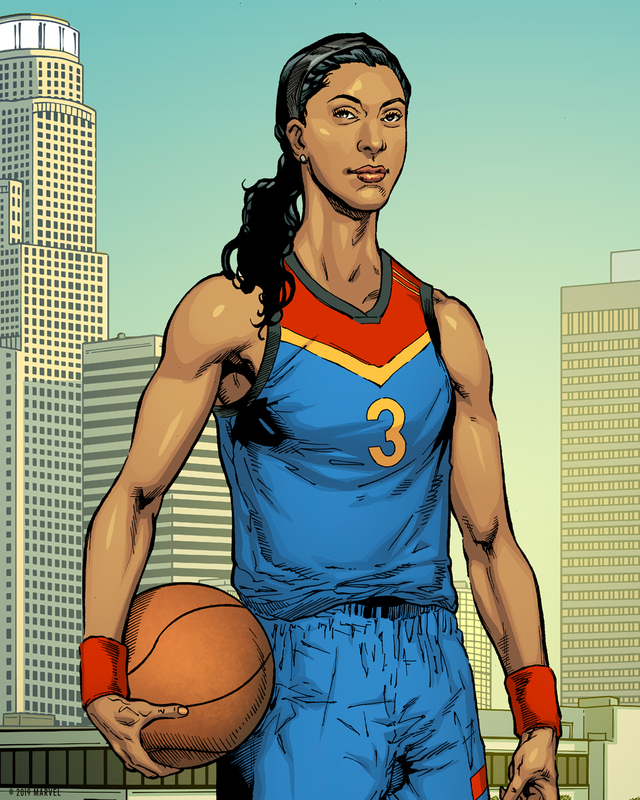 As dominant as Candace Parker has been during her career at times it felt like she too has altered DNA. 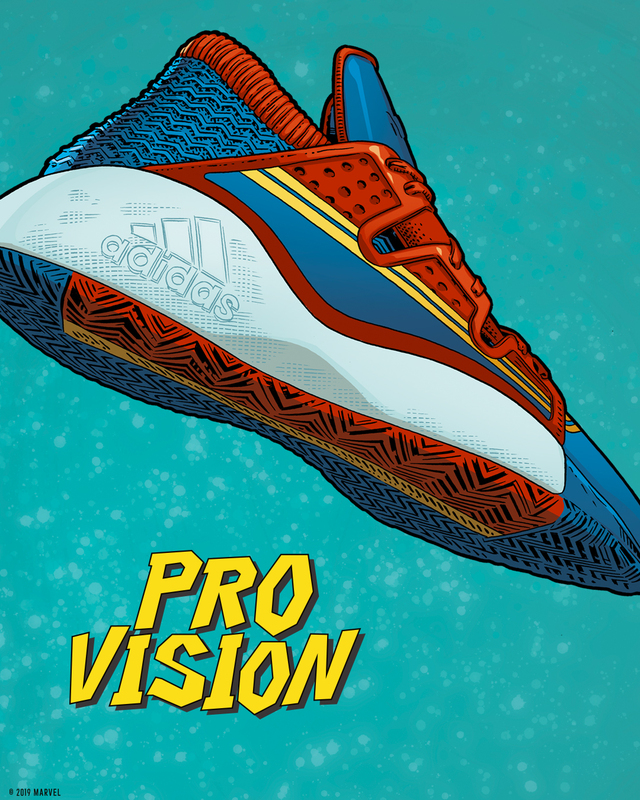 The two are taking over the adidas Pro Vision, which like Captain Marvel’s suit come in red, blue and yellow. 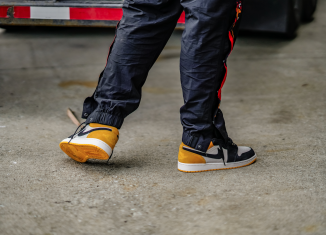 The model utilizes a unique ripstop midfoot cage which offers flexible stability and support. 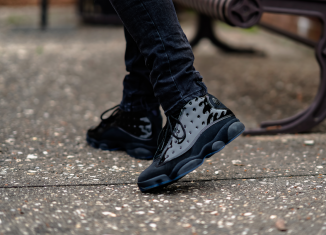 The cage works with a responsive Bounce midsole and rubber Herringbone outsole. 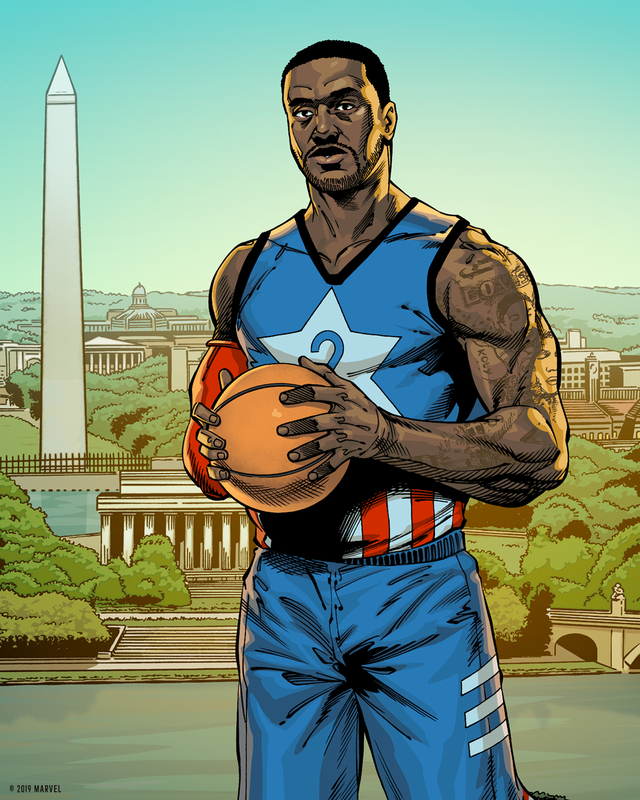 If you’ve ever seen John Wall on the court you know he’s in peak physical form and often a step ahead of the competition much like his superhero counterpart, Captain America. 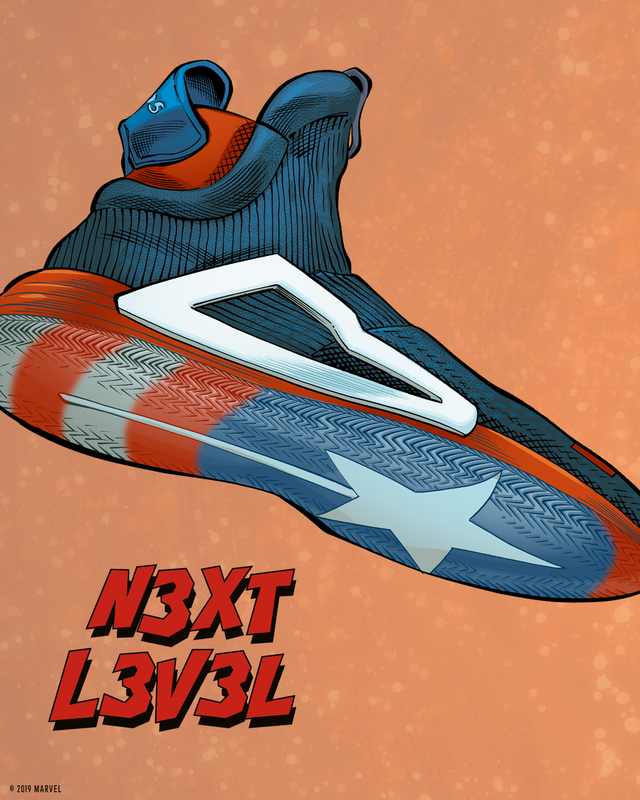 Wall and Captain America are bringing their prowess to the revolutionary adidas N3XT L3V3L. Its laceless Primeknit upper offers an unmatched combination of lock down and support. Lateral banking barriers protect you midfoot and beautifully pair with the shoe’s superlight foam midsole. Altogether, the lightest basketball shoe to date. During his time in the NBA, Tracy McGrady was a cerebral assassin on the court. 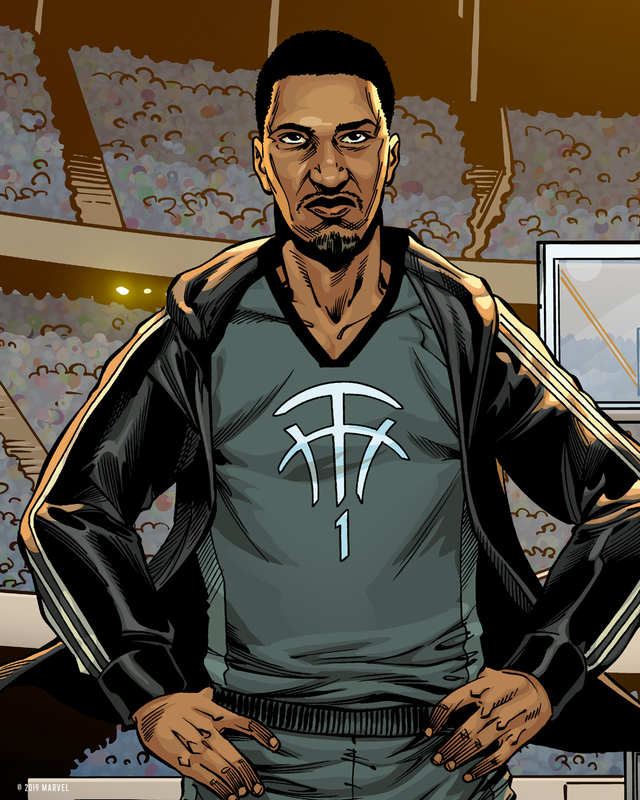 The very sight of T-Mac invoked fear in his opponents, as it does when foes run into Nick Fury. Fury’s arsenal of skills (boxing, tae kwon do, ju-jitsu) are bountiful much like McGrady’s bag was when he played. adidas are giving hoops fans a treat by bringing back McGrady’s first signature model, the adidas T-MAC 1. 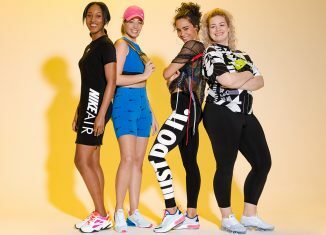 The retro model boasts a synthetic upper which provides stable cushioning. Its paired with a rubber Herringbone outsole for extra grip on quick cuts and pivots. 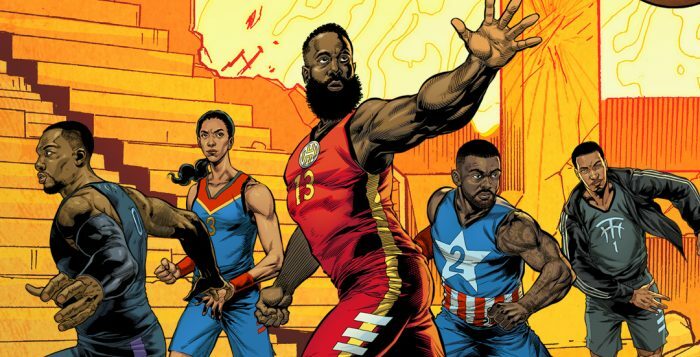 Show off your inner superhero with the adidas Marvel Basketball Collection. 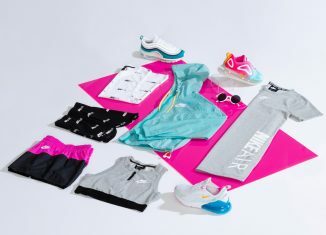 Available 4/26 at Finish Line. The heart and soul of Portland. Damian Lillard is in the midst of another career year. He’s got his Trail Blazers jockeying for a playoff spot in the Western Conference and he recently celebrated the birth of his first child. 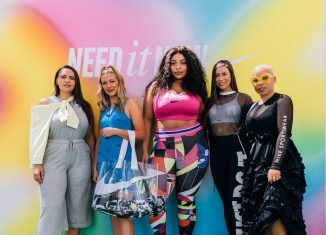 Dame’s family isn’t the only thing to expand as his signature collection is getting an addition as well. 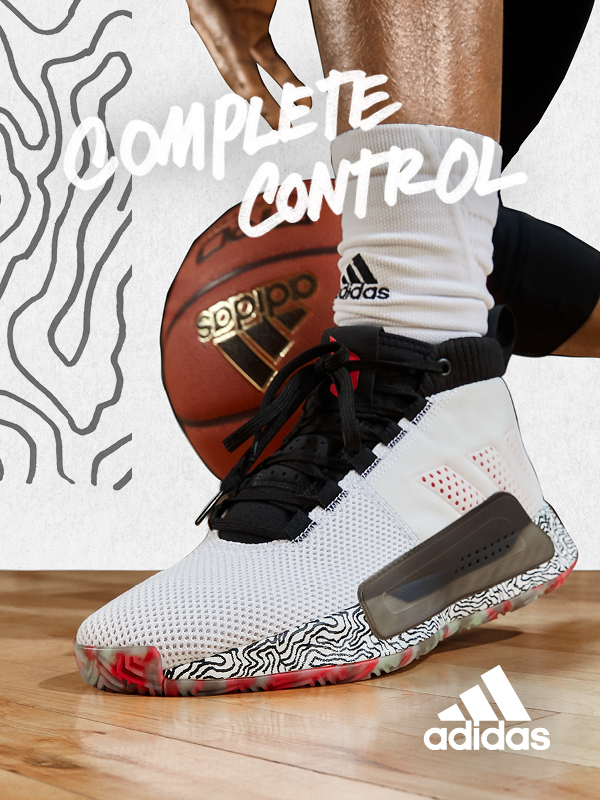 His fifth model, the adidas Dame 5, was designed specifically for Lillard’s signature game. Made to play fresh out of the box, you won’t have to spend time breaking in the Dame 5. 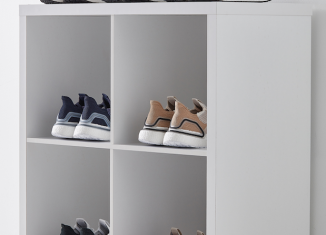 Opting for a ¾ collar, the upper of the shoe is made from textiles and features an internal, padded pod system for added comfort. A TPU midfoot overlay locks your foot down, providing the support you need. 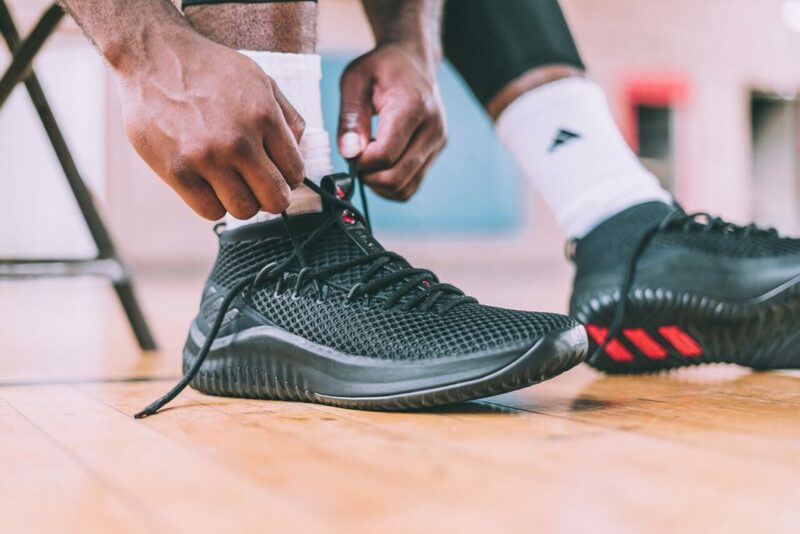 Perfect for Lillard’s patented step-back, the Dame 5 utilizes a flexible Bounce midsole. You’ll be able to change direction on a dime thanks to the herringbone outsole pattern which provides extraordinary grip. 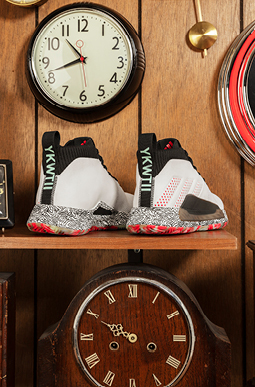 You know what time it is (YKWTII), secure the adidas Dame 5 from Finish Line on 2/1. 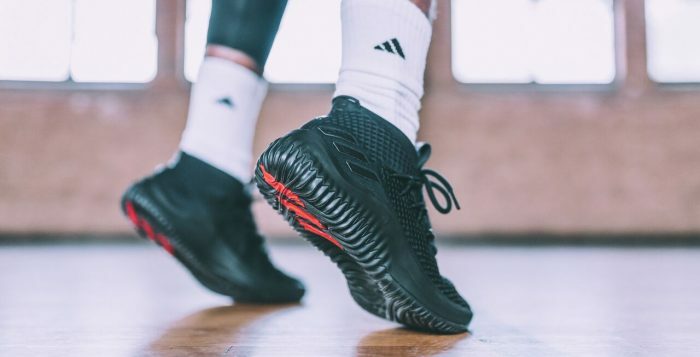 Damian Lillard continues his signature sneaker line with adidas Hoops and the Dame 4. 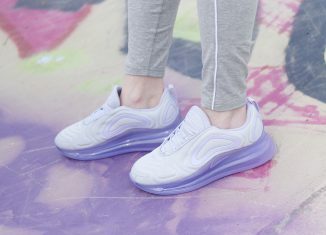 The sneaker has a mesh upper and a full-length BOUNCE midsole. It also has, unique grooves for creating space against defenders and an evolved traction pattern. 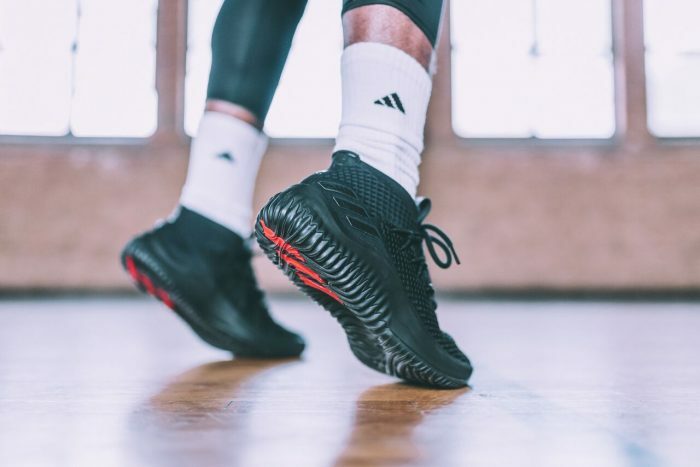 Dame Lillard 4 may be the most refined silhouette yet as the mid-top construction features a lightweight mesh and looped lacing systems throughout while it all sits atop a jagged midsole that adds an aggressive twist. 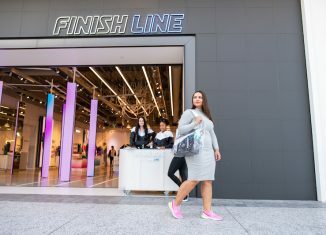 The full-length BOUNCE cushioning converges with the outsole, visually treated as a musical waveform that represents Dame D.O.L.L.A.’s passion for hip-hop. 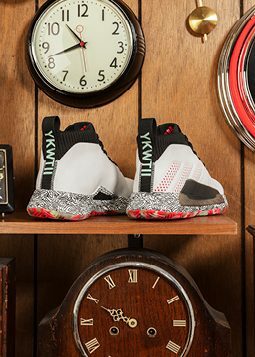 YKWTII is displayed on the heel as a message to all the doubters, reminding them “You Know What Time It Is” in reference to Dame’s ability to takeover the game. 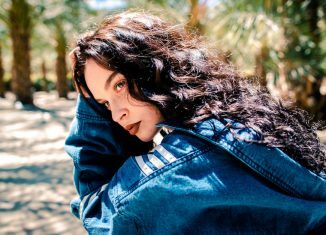 DAME CERTIFIED is featured on the sockliner with the motto “Patience Persistence Purpose” to further exude Dame’s unrelenting attitude. 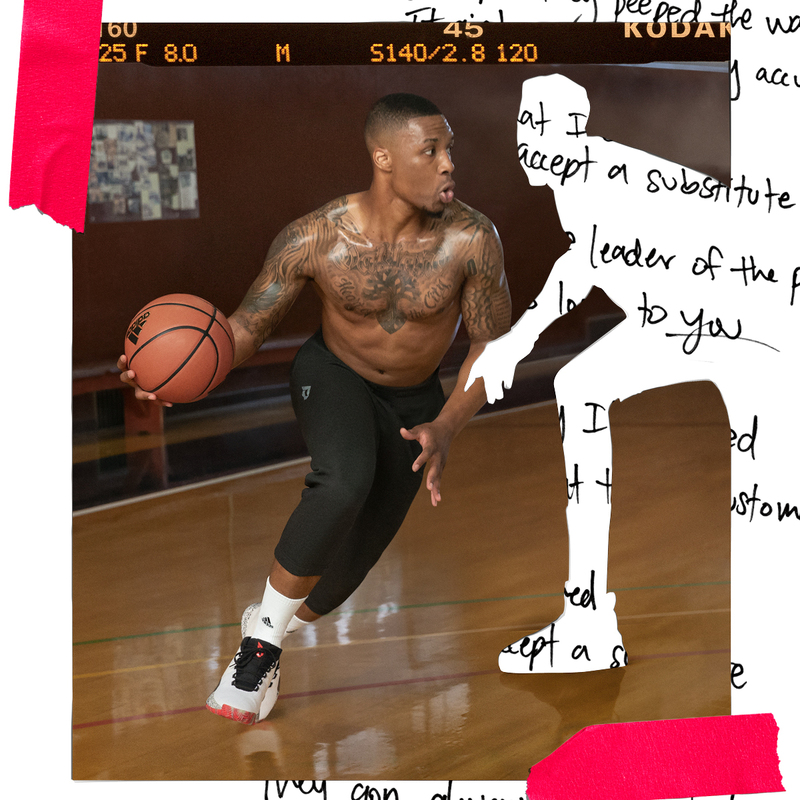 Dolla Dame is confident in his game and skill and he lets it be known on his sneakers. 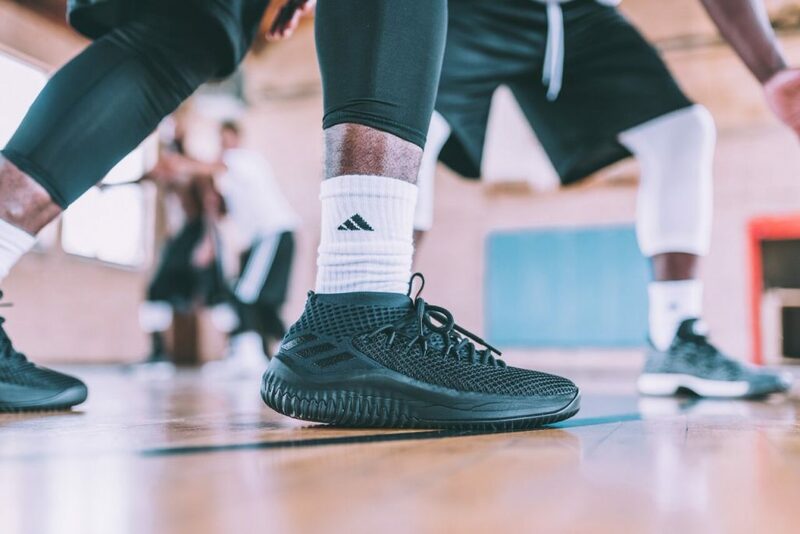 Make sure you grab your pair of the adidas Hoops Dame 4 ‘Blackout’ on November 10th at Finishline.com.